BRAND'S® Essence of Chicken with Cordyceps is an extract of fine quality chicken combined with the goodness of quality Cordyceps, specially formulated for easy absorption and digestion. It is hygienically processed under high temperature to give it its unique flavour and airtight sealed to preserve its freshness. 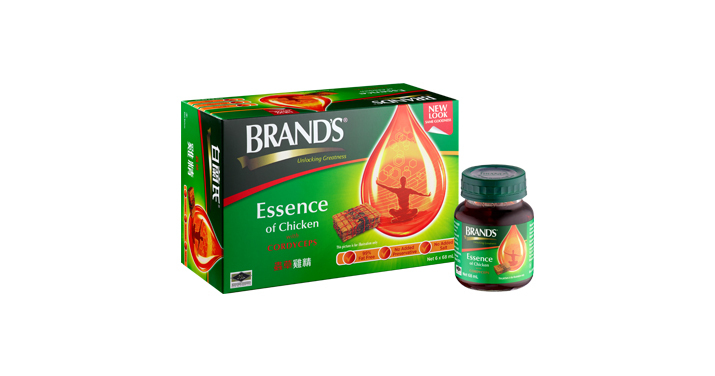 BRAND'S® Essence of Chicken with Cordyceps has no preservatives added. This product may be consumed straight from the bottle at room temperature, chilled or warm according to one's preference. Keep in cool dry place and avoid direct sunlight for the best quality. Consume immediately upon opening. Concentrated chicken extract (Water, chicken extract), Rehmannia glutinosa, Astragalus membranaceus, Polygonatum officinale, Cordyceps sinensis hyphae, Glycyrrhiza uralensis. 1. What exactly is BRAND’S® Essence of Chicken with Cordyceps? BRAND’S® Essence of Chicken is a natural food supplement that is made from the extract of fine quality chicken and Cordyceps in an easily digestible form and packaged in a ready to drink format. It is hygienically processed in high temperature to give it a unique flavour and airtight sealed to preserve its freshness. 3. Why is BRAND’S® Essence of Chicken with Cordyceps dark in colour? Has any colouring been added to it? No colouring has been added to BRAND’S® Essence of Chicken with Cordyceps. Its dark colour is due to the herbs used. 5. Can I take BRAND’S® Essence of Chicken with Cordyceps even though I am not sick? 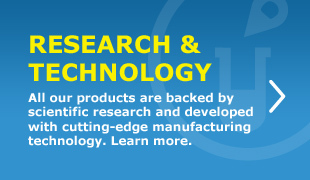 Our products are food products which do not serve as a cure for illness. Therefore, they are good for consumption any day, any time for health maintenance. 6. What is the best time to consume BRAND’S® Essence of Chicken? 7. Can I consume BRAND’S® Essence of Chicken before sleeping? 8. Why does BRAND’S® Essence of Chicken have a shelf life of 3 years despite not using preservatives? BRAND'S® Essence of Chicken with Cordyceps may be consumed straight from the bottle at room temperature, chilled or warm according to one's preference. Keep in cool dry place and avoid direct sunlight for the best quality. Consume immediately upon opening.